Despite my username I have opinions and I am not afraid of making them known. My main reasons for being are to help keep this site easy to understand for new users, and giving my perspective as a PS3 user. Any opinions of mine are mine alone and I don't apologize for making them known even if they are wrong, but I will acknowledge when they are shown to be wrong. I am also a complete hypocrite when it comes to enforcing the rules; I only enforce those I believe in (if they don't work I try to change them though). I will use policies to base my arguments on though, even if I don't believe in them. In truth this is not hypocritical, as the most important pillar of any wiki is that "If the rules prevent you from improving or maintaining Wikipedia, ignore them." I received a warning 'for the good of the wiki' when trying to help an editor improve their methods, the irony is not lost on me. I have expressed my opinions on certain admins on this site and their fitness for the post. These comments almost got me blocked, despite the communities disgust at other sites where having an opposing view to an admin is grounds for auto-blocking. Despite this certain individuals conspired to get me banned for a lengthy period and I feel that these individuals will not stop until I am permanently blocked. What I have done to earn such hatred is beyond me, as the only thing I have ever strived for without compromise is the absolute quality of all this wiki's articles. I make this post in the belief that those certain individuals are currently maneuvering to get me blocked by making borderline personal attacks in a bid to get me to respond in kind, and then punish me but take no action against those who made the first comments. My Peeps; FluffyPinkBear, my brother who sometimes shares the same IP address. I've completed many more houses and smaller locations, but such small locations would surely make this a list of self-indulgence. I've also made some other large contributions, but they are mainly adding tables and such, so they don't count as revamps/rewrites (to me at least). Feel free to contact me by E-Mail, or by PS3 Username - ElyssarArFeiniel, or simply leave a message on my talk page. 32 This UESPWikian is 32 years, 3 months, and 27 days old. This user has been on UESPWiki for 7 years, 1 month, and 16 days. This user takes photos on the PC. This user has made a grand total of 40,401 edits in 2603 days. This user scored 15890 points on the UESPholic Test. This user obsessively visits the official UESP IRC chatroom. This user was born under the sign of The Apprentice. I am glad you came to my page because I would like to tell you a little bit about myself. I am a loyal imperialist Breton. I used to live in Chorrol but have had to relocate; I now live in Whiterun in a place called Breezehome. I live with my beautiful wife Ysolda, who I think has an issue with drugs, and still has her own place (talk about commitment). It was my brother who introduced me to Cyrodil shortly after his release, that’s all I remember because all I can recall after that is that I was in prison and the Emperor himself came to my cell (may he rest in peace), he released me into the wide world to do as I wished. He encouraged me to change my ways, but once a thief always a thief. I immediately sought out the local thieves guild and was amused to learn of the guards attitude towards them. After a while my technique was brought into question and the Dark Brotherhood contacted me. Surprisingly I found them more to my taste, and finding alternate ways to kill people always amused me, especially dropping animals heads. It all got a bit much when I was asked to kill my friends because there was supposedly a mole (turns out they were innocent). Well the mole was found in the end, an idiot who talked to his dead mother, but the whole incident made me take a good hard look at myself. Even after being complimented on my listening skills by my dead mother, I decided to change my life. The first task I took upon myself was to reunited an invisible man and his wife, and instead of being thanked, he gave me a 'gift' that erased my name from history. Putting this aside, I decided to continue on this 'good' path. I sought out the fighters guild, where my fighting skills would be put to good use, after a while I took a sabbatical and joined the arena, using it to learn how to use my shield properly. There was an Orc there who became my friend, he asked me to look for clues to his past, well I found them, but they weren't pretty. I told him that he wasn't like his father but he became very depressed, then the arena organizers arranged a fight between us. It wasn't a fair fight in his condition so I re-entered the bloodworks and left. Returning to the fighters guild, things soon began getting murky (do I find trouble, or does trouble follow me). After some issues involving the guild masters son and a rival guild, I found myself as the most senior guild member, so instructing my assistant to rebuild the guild and find more members, I left to find another challenge to. I had bought my house in Chorrol some time after re-joining the fighters guild. It's right in the centre of town, close to both fighters and mages guilds and the blacksmith. Right next-door is a place I know well, there was a Dark Brotherhood mission there, although the very rare occasion when someone wants the illusion of murder and not an actual murder. The mages guild seemed like a last chance to do something clean, nothing messy here, yeah right, straight away I was nearly drowned by an undercover necromancer, then when asked to fetch a stick, more necromancers. After being allowed to make my own spells I became nearly invincible, could carry tons of heavy stuff, become invisible and paralyze enemies at will. This helped my progression through the guild culminating in being elected leader after destroying the former leaders mortal enemy. I felt cleaner inside but still had issues, searching myself for answers I found an amulet that I had forgotten about. It had been given to me by the Emperor shortly before his murder; I remembered he asked me to take it to a monk, so of I set. The monk revealed himself to be leader of the blades and asked me to find a possible heir to the throne, traveling to Kvatch the locals tell me of its destruction, they talk as if it had just happened but after some dremora fail to avoid my sword, I am talking to Martin, heir to the throne and from his story, Kvatch was attacked the same time as the emperor was murdered. Traveling with him to the blades and on to Cloud Ruler Temple, the blades stronghold, was time consuming but worth it for the view. From there I was asked to help plan their counter attack on whomever it was that had murdered the emperor and his three sons. Turns out a group called the Mythic Dawn did it, and retaliation soon followed. Having almost rid Cyrodil of this threat their leader launched a desperate last attempt to conquer the Imperial City. Escorting Martin to the city and through its streets was tough but we got there in the end. 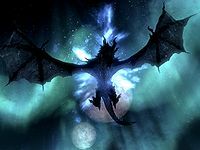 I'm sure you've heard the stories and they are true; Martin did transform into the Dragon you can now see in the Temple Of The One to defeat the enemy and seal the gates to Oblivion; but in doing so he ended the line of the Septim's. Considering how I had managed to become head of any organization I joined, I was half wondering if I had a chance to be Emperor myself, but alas, it was not to be. I was looking for something out of the ordinary to take my mind of such serious matters, so imagine my surprise when a door just appears in the middle of a lake, just insane I tell you. Anyway how could I not investigate, but I remember few details of what transpired there, save that once again I became head of state, and the flowers were pretty. The nine Knights were exactly what I had been looking for these many months, a chance to do good, and if I was bad I couldn't wear my armour. Saving Cyrodil from another dead enemy and getting two swords created a nice feeling, but then it was gone, to be replaced by images of a wasteland full of dead plants and green water. During the Thalmor invasion of Cyrodil I was unsuccessfully trying to organize resistance in Elsweyr, so I was not present during the fall or recapture of the Imperial City. Returning to Chorrol after this only to find my home destroyed and hearing the details of the White-Gold Concordat, especially since I had been involved with the blades, I decided to move away. Gathering my belongings and saying a last goodbye, I headed north past Pale Pass. This is the last I remember before my capture at the hands of Imperial troops crossing the mountains. During my trip I stumbled across their trap for a rebel leader, and was arrested along with him. After some dialogue with the General and his soldiers I found myself being released and allowed to proceed at my own leisure into Skyrim. I didn't know where I was going to live but after a local blacksmith pointed the way, I found myself in Whiterun. Some weeks later after doing a few favours for some Jarls, I had the choice of a few houses, but I settled on Breezehome for its central location, rugged good looks, and the local amenities. I am currently helping the Skyrim Imperial forces solve a local dispute about religion. I agree that there should be freedom of religion and I let any of the resident Thalmor agents know, which they take offense to and so I make sure to beat it into them. 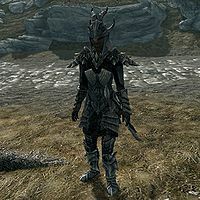 The blades have contacted me again and have appointed me as honorary leader, so we are trying to rebuild, I joined the Companions as soon as I got to Whiterun, and surprise surprise, am now a harbinger of peace and prosperity. The mages college here is very accepting, not one week after joining them I was being told to become arch mage, because no one else wanted it, after an ugly incident with a ball and a Thalmor. I must admit here to slipping, I not only found myself in contact with the thieves guild in Skyrim, but also the Dark Brotherhood. The lure of easy money is not so easily ignored. Anyway after some unpleasantness with the thieves and a key, the brotherhood and jealousy, guess who was left in charge. Nowadays I spend my time perusing the architecture of buildings, and the contents of peoples pockets (I don't take anything out). My favourites at the minute are Whiterun's buildings and their residents. When not doing this my favourite hobbies include using my Ebony Blade, and exploring caves.